Intensive Skin Lightening Cream Spf 30 Reviews: Is It The Best Choice? Glytone Dark Spot Corrector Review : Ingredients, Side Effects, Detailed Review And More. 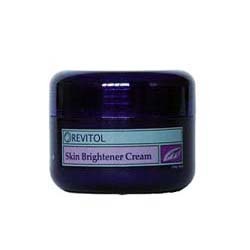 What Is Intensive Skin Lightening Cream SPF 30? The cream contains a few nourishing ingredients but the sunscreen additives that come with it are associated with risk of hormonal disruption and may not be suitable for pregnant and breastfeeding women. What Are The Ingredients In Intensive Skin Lightening Cream SPF 30? Zinc Oxide (4.0%): Mineral sunscreen active. There are no studies that claim that this ingredient is safe for babies and therefore should be used with caution when pregnant. Aloe Vera: It reduce skin inflammation. Aloe is used to effectively heal chronic skin problems, such as psoriasis, acne and eczema. Although it may also cause rashes on the skin & itchy skin. Use Intensive Skin Lightening Cream SPF 30 as part of your morning skin care ritual, following a good cleanse and tone. Always patch test before using to test for any adverse reaction as some ingredients can be extremely irritating. 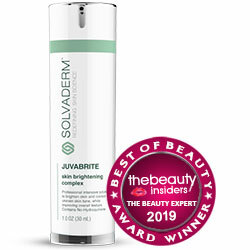 This product is formulated with some of the well-known ingredients for moisturizing and lightening your skin. However, it contains chemical sunscreen actives that have been linked to wide array of side effects. This product gives you multiple benefits with one application. This product has been guaranteed by the manufacturer to be rid of parabens, phtahalates, dyes, petrochemicals and triclosan. This product is formulated with fragrance ingredients, one of the most irritating ingredients that are commonly found skin care products. The formula consists of chemical sunscreen actives known to cause endocrine disruptions. Intensive Skin Lightening Cream SPF 30 reviews have cited that the formula can be irritating to people with sensitive skin types. This product is not available on many reputed websites. Intensive Skin Lightening Cream SPF 30 is not exactly at bargain price rates, and overall, the product seems to deliver fairly well on its commitments. While it is rid of several toxic ingredients, the manufacturer failed to cross out fragrances so, take extra caution before proceeding most especially when you know you have reactive skin.